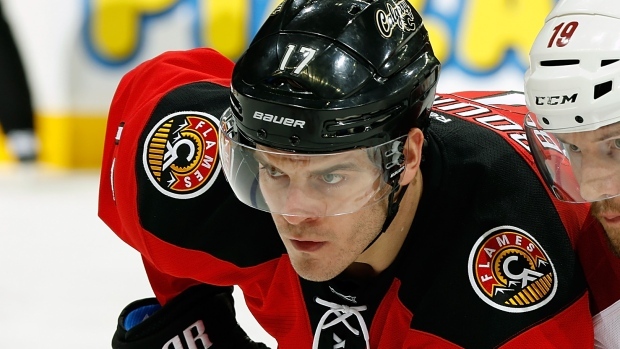 CALGARY - The Calgary Flames signed forward Lance Bouma to a three-year contract on Thursday. The deal carries an average annual value of $2.2 million, according to the Calgary Herald. Flames' assistant GM Brad Pascall on re-signing Lance Bouma ($2.1M, $2.2M, $2.3M): "He fits our DNA." Bouma played 78 games with the Flames last season, scoring 16 goals and adding 18 assists for 34 points. He has played 199 career NHL games with Calgary scoring 22 goals and adding 31 assists for 53 points. Bouma was drafted by the Flames in the third round of the 2008 draft.